Disney's 1989 animated film THE LITTLE MERMAID is a very formidable movie, surpassing the combined visual and musical artistic talents of all concerned. Character development is one of the strong points of THE LITTLE MERMAID achieved through concise dialogue, music and simplistic yet effective images. 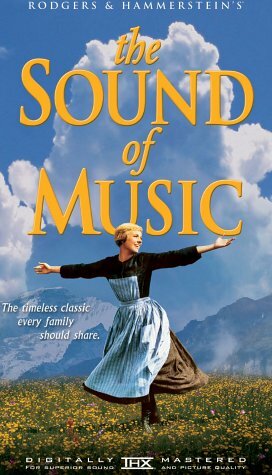 However, most effective to the success of this film are the songs that advance the story line and define the characters. That was the brilliance of lyricist Howard Ashman's contribution to THE LITTLE MERMAID. He and composer Alan Menken developed songs that in several minutes clearly define Ariel's reckless but innocent curiosity about the humans above and her yearning to discover that world. Every song in THE LITTLE MERMAID bolsters the depth of the characters, advances the plot or enhances the significance of a scene in addition to being very melodic and well written. So in THE LITTLE MERMAID we are given a substantial amount of information and entertainment in a minimum amount of time. There is not a single frame of wasted footage in this film. The combined effort is one of a splendid and effortless looking perfect creation of a classical animated Disney tale. I love this original edition on VHS. This Disney Classic, made in 1989 is the tale of a young mermaid, Ariel, who is at the point in her life where she is ready to become and independent woman. Her fantasy of being part of the human race explodes when she swims to the top of the sea, and sees Prince Eric, who will eventually become the love of her life. After saving Price Eric from drowning, she can not get him off of her mind. She decides that it is time for her to gain some independence, so she goes to Ursula, a sea witch. In exchange for her beautiful voice, Ariel is given the opportunity to become a human, and risk everything for Price Eric. This movie is meant for young girls, yet uses a lot of imagery in order to speak about societal issues. Women in this movie are viewed primarily as dependent upon men, until they take their own initiative. Ariel is dependent on her father for her whole life, and only tries to gain independence when she has the chance to be with the man of her dreams. In order for Ariel to win his heart, she must give something of great importance away. This in itself may give young children the message that in order for a woman to win a man's heart, she must do it without using her voice, that her looks would simply be enough. Ariel in a sense will be judged by Prince Eric, simply based on her body, exemplifying the notion that women are only viewed by men, having nothing to do with their "voice" or personality. Although this view of the woman is negative, in the end of the film women are looked at in a much more positive light. The idea that a man can get passed looks, and love a woman for her "voice" comes out at the end of the film when Eric chooses Ariel, the woman with the beautiful voice for who she really is. This makes the stereotype of an "Independent woman" seem possible to young girls; Ariel was able to persevere through problems that would come her way, and would use all her effort, including her "voice" to win a man's heart. This movie has many messages for young girls, although not positive all throughout, in the end children are given a positive view of what it means to be an independent woman who is able to accomplish her goals. As a child, this movie was the most psycho thing I had ever seen. Triton and Ursula were maniacs! The part where he trashes the grotto has got to be the most compellingly frightening moment in my cinematic life - and you're talking to the person who sat down and 'gorged' the slaughter scenes in "Texas Chainsaw Massacre" and "Kill Bill Volume 1". Triton is really scary. I used to have nightmares about him. After the grotto-trashing, we encounter another psycho. Ursula's song is, once again, the most compellingly frightening moment in my cinematic life. As a kid, watching this film for the first time, I was entirely overwhelmed. But, for a very long time, it was hard to find - and the rental copy I'd constantly hire had crumbled into pieces. I eventually found the original VHS at a flea-market, and it's meant to be worth (because one of my older friends ran a video shop) over $400 in Australian currency. After seeing Beauty and the Beast, Aladdin, Lion King and Pocahontas (some other amazing experiences) I count this as my all-time favourite Disney movie and the most scariest and overwhelming and frightening of them all. 10/10. While "Beauty and the Beast" may have nominated for BEST Picture, "The Lion King" may have captured the world's attention, and "Aladdin" may have soared with a Robin Williams-voiced genie, "The Little Mermaid" still stands as the landmark film that brought Disney animation to the forefront. The first of the studio's modern-day musicals, "The Little Mermaid" has it all: a feisty heroine, a faithful mentor/protector, a slightly off-center sidekick, a hunky leading man, a Godlike father, and a villain at the peak of wickedness. The vocal performances by Jodi Benson ("Ariel"), Kenneth Mars ("King Triton"), Samuel E. Wright ("Sebastian"), Buddy Hackett ("Scuttle") and Pat Carroll ("Ursula") are, without a doubt, the best ever heard in a Disney film. Able-bodied vocal support is given by the always-dependable Rene Auberjoinois as a set-upon French chef. The songs ("Under the Sea", "Part of Your World", "Poor Unfortunate Soul", "Kiss the Girl") are Broadway-worthy. It's a shame that the film is not in circulation at the moment. It is truly one in need of remastering and "special edition" status with extras. Under the sea is the best place to be. Somewhere under the sea, and beyond your imagination, lies an adventure of fantasy...Mermaids are supposed to stay under the sea, but there was never a mermaid quite like Ariel!! The headstrong teenager (She's 16, by the way)longs to be part of the magical world on land. much to the dismay of her father, King Triton. When she falls in love with a human prince by the name of Eric, Ariel looks to Ursula, a divinely and diabolical sea witxh, who makes Ariel a human in exchange for her golden voice!! With the help of her friends, Shy and Lovable Flounder and Sebastian, a reggae-singing crab, Ariel must win her princes love in a thrilling race against time!!!! A far cry from the static monstrosity the show has become on Broadway, the original Riverdance with Michael Flatley and Jean Butler is unbeatable. Colin Dunn may be a skilled performer, but no amount of championship titles can make up for the fact he lacks Flatley's presence and command of the audience. This production of Riverdance is the only one you need - forget Riverdance: The journey and the Radio City Music hall nightmare. This is Riverdance the way it was meant to be, before the producers drove Flatley away and stole his creation. The can claim credit all they wish, but Michael Flatley proved where the true passion for the dance went when he bravely formed his own production of Lord of the Dance and later, Feet of Flames. The current Broadway Riverdance show is fine for making the producers money and appeasing the tourists, but they cannot deny the passion and fire of the original is gone. The only thing worth watching the Broadway cast for is the added solos of Maria Pages and the newer modern tap routines. But there is no beating the original production, with it's passion and fire that truly embody the spirit of the Celts. Between Bill Whelan's gorgeous score and Flatley and Butler's unequaled talents leading a fabulously talented cast, this is truly an example of a great idea that should never have been tampered with. I've seen both versions of "Riverdance," with and without Michael Flatley, and I think this one is far and away the better. His successor is a terrific dancer, in a rather self-contained style, but he lacks Flatley's gusto and his rapport with the other dancers and the audience (compare the duos with Jean Butler in both versions and you'll see what I mean). Flatley always looks as if he's enjoying himself, and he throws himself into every performance with passion and enthusiasm -- even after many hundreds of shows, it's not "just a job" to him! Ms. Butler is superb: she can be light as thistledown, or stomp out an intricate rhythm in tap shoes with the best of them. As for the rest of the film, I could have done with fewer choral selections, although both Anuna and the Gospel group perform well. I would have liked to see more of the band: as an Irish music aficionado, I was stunned to read the credits and see the caliber of musicians who'd been performing, but the tape didn't give more than the odd 10 seconds to anyone besides Davy Spillane. And I can't imagine why the filmmakers didn't include the tap dance segment, which was, to me, the best part of the New York tape. But this version has it all over the other in one very important respect: whoever filmed it understood something about Irish dancing. They focused on the footwork, which, to a fan of this dance style, is THE most interesting part. The show was a gigantic hit in Ireland -- and in the heavily Irish communities in the U.S. -- in large part because it took a traditional (sometimes hackneyed) ethnic dance form and turned it on its ear. If it's filmed as just another razzle-dazzle dance show, with no attention to its roots, much of the enjoyment goes out of it -- and I think that happened in the New York version. I am amazed that so many of those who have seen the video are puzzled by the inclusion of the echos of Spanish and Arabic music in this film. This is truly a mesmerizing video, not only because of the spectacular dancing but also because of the inclusion of the diverse cultural and historical facts of Irelands past. The answer to the diversity of the "phenomenon" is found in the history of Western Europe. When many of the survivors of the wrecks of the Armada ended up on its shores, Ireland came under the influence of the invasion of the Moors in Spain,. Naturally Spanish/Arabic culture became inculcated in the culture fo the country. So now it must be included in the musical heritage of Ireland. As for the gospel music, the Irish that emigrated to the Eastern United States added their ballads and jigs to country music as well as the Africans that were slaves in those same areas and these two became intertwined. I found all of the music to be authentic and moving. I am Italian by heritage, but just for a moment I was envious of all thse who can claim Irish dancing as their own. 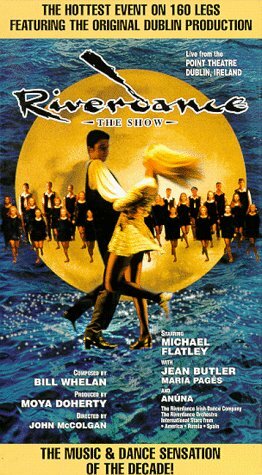 Michael Flatley is a fine dancer and coreographer, and for me the original Riverdance is still his best work. Lord of the Dance and Feet of Flames are impressive bits of showmanship, but in all their flash and glitter they lose the powerful, simple beauty of Irish dance that still holds center stage in the original Riverdance. Riverdance-The Show is also shot and edited well, like being in a front-row seat, not like a music video. I can't stand the staccato camera cuts in Lord of the Dance and Feet of Flame, but then I'm of an older generation not raised on MTV. Jean Butler shines in Riverdance, reason alone to view this show! I have watched this video over and over and am not tired of it yet! Except I skip most of the songs now. Just give me the dance! Awesome story, even better acting and producing!!! I have always been a huge fan of Diana Ross and Lady Day, but putting that aside this movie is truly worth every penny, every minute you spend watching. The Billie Holiday story stands by itself as an incredible testimony to what it was like to be black in 1930's America, but add to that Diana's vulnerability and beautiful voice and you have one of the best stories ever put on film!!!! I just can't wait until it is put on DVD with 5.0 dolby digital sound..........does anyone out there know when that might happen????? :) Buy the movie, you will not regret it. I'm not a Diana Ross fan, but in this movie, she was excellent and convincing as Lady Day. Dynamic performances by Billy Dee Williams and Richard Pryor as well. My only fault with this movie that it was not Billie Holiday's real story. It was filled with inaccuracies and purely fictional situations. Even Berry Gordy, Ross' one-time lover and mentor, admitted that the script was bogus, but it still was very riveting. This was Ross' first film and even though she never took a drama lesson in her life, she pulled this off with no problem. Definitely worth checking out. but it's an absolute DISGRACE to the memory and legacy of the real Lady Day. Diana was a decent (solo) to great(Supremes) soul singer, but she's no great actor. She's simply competent ... watching Mahogany proves that beyond a shadow of a doubt. To do the story of Billie Holiday, easily one of the most influential and lasting jazz/torch singers of the 20th century, and not cast a known quantity was a serious mistake on Gordy and Motown's part. Not only didn't Ross look the part, she certainly didn't act it, and her voice is nothing like Billie's;it's far weaker and devoid of the "body" Lady Day had. The only bright spot in this was Rochard Pryor's part, even though, again, it was 99% fiction. Save your time, save your money. Buy a Billie Holiday CD, her autobiography, and enjoy the real thing. Maybe one day someone will make a REAL film bio of the Lady. The complex life of jazz singer Billie Holiday cannot be summed up in a two-and-a-half hour film unless it's a documentary. 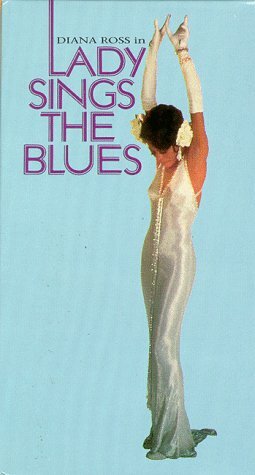 Therefore, LADY SINGS THE BLUES misses the boat in portraying Billie's life, but hits the target in casting Diana Ross, Billy Dee Williams and Richard Pryor. The chemistry between these three thespians are a joy to behold. And Ms. Ross sings Billie's songs very well without resorting to imitating the jazz legend. So ends the haunting refrain of Sigmund Romberg's lovely "Will You Remember?" --the signature song of his wartime hit "Maytime." Otherwise known as the Sweetheart song ("Sweetheart, sweetheart, sweetheart..."), this song of songs is the recuring theme of this 1937 MGM musical masterpiece. The screens own singing sweethearts, Jeanette MacDonald and Nelson Eddy were at the peak of their vocal powers and this opulent film was their crowning victory. Miss MacDonald claimed this as her own personal favorite. Marcia (Jeanette), an American opera singer in Paris, and Paul (Nelson), an American voice student, fall hopelessly in love in a chance meeting followed by an enchanting outing at the Maytime festival. Unfortunately it is too late, for she has just accepted the proposal of her egocentric voice teacher, Nicolai, (marvelously played by John Barrymore). Separated for years, the sweethearts are finally reunited as Paul now has an international career of his own. They are paired for "Czaritza", an original MGM confection skillfully using Tchaikovsky's infectious Fifth Symphony", but Nicolai's jealousy ultimately leads to tragedy. As the film opened with the aging Marcia Mornay reflecting back on her illustrious career and upon her unfulfilled love for Paul, so does it end. Life slips peacefully from her frail body as her spirit is once again united with her lifelong love, who had gone before her, and the two of them stroll longingly down their celestial lane as apple blossoms fall blushingly to the ground. This is one of the most poignant scenes in cinematic history. The music is glorious--almost beyond description. The costumes and sets are lavish in style and detail. "Will you remember?" Indeed you will! This is a joyous reminder of the nostalgia and happiness we feel each year in "Springtime, Lovetime, May." A MUST SEE FOR MAC & EDDY FANS! Maytime is the best movie this duo ever made. Unlike some other movies of theirs together this one isn't cheesy. The plot line is great, the romance is beautiful, the acting fantastic, and the music gorgeous! Plus it's a great tear-jerker. Watching the love bloom between Marcia (Mac) and Paul (Eddy) is as entertaining and romantic as ever. John Barrymore does a superb job as Marcias obsessed voice teacher. He definately makes you hate him. And no matter what anyone says the ending makes the whole movie! It wouldn't be Maytime without it. And even if you don't like the ending, the movie is worth watching just to see Nelson Eddy sing "Ham and Eggs" or the Prima Donna song. It's such a shame that Hollywood doesn't make good movies like this anymore. For many years, I would watch this movie on TV every May 1st.I would wake up in the middle of the night to feel the emotion and joy of Marcia and Paul in love. Now that I have it on VHS, I can watch it as often as I wish. They do not make love stories, nor musicals like this any more.It is a classic. It moves me every time I watch it. And when they sing at the fair "Sweetheart" I get very tearful. Thank you Jeanette and Nelson, for making this beautiful film. When I bought this vhs, I was not expecting such a quality in sounds and clearness. This film was made in the 30 after all. And what made me happier is that the story keep us awakened from the beginnig till the end. The lovely voice of Jeanette MacDonald is an enchantment in all the opera'a arias she sings. Nelson Eddy is also good, but not enough to be the opera singer they expected from him. But what a story! And, woudl it be only for Jeanette lyrics and her fascinating eyes, it is worted more than the price I paid for it. Three times BRAVO! 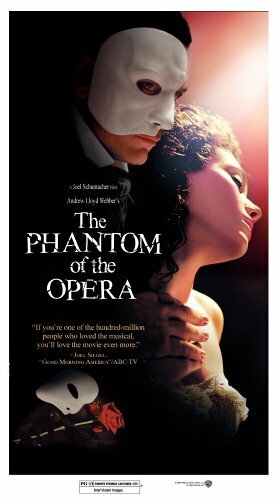 THIS IS ONE OF THE BEST MUSICALS I'VE EVER SEEN!!! This film makes me recall a rather infamous episode of my life. I wanted to take a date to see "Rocky" in the theater, but she insisted on seeing this movie instead. Just like my date, this picture turned out to be a dud. Because it's loosely based on two previous releases of the same title (one starring Frederic March and Janet Gaynor; the other featuring Judy Garland and James Mason), the plot is uninspired and predictable. As for acting, both Streisand and Kristofferson should stay in the recording studio. The only redeeming feature of this film is Streisand's performance of her hit song "Evergreen". THE MOVIE WAS AN EXCELLENT MOVIE AND RECIEVED ALL KIND OF AWARDS.IT IS A CLASSIC AND SHOULD BE AVAIABLE ON DVD.BARBARA STRIESAND AND KRIS KRISTOFFERSON ARE LEGENDS OF THEIR DAY AND I WOULD REALLY LIKE TO OWN THE MOVIE FOR MY BARBARA COLLECTION.I CAN'T BELIEVE IT'S NOT AVAIABLE.IF IT COMES OUT PLEASE EMAIL ME. A blockbuster at the time of it's original release (it was the second-highest grossing film of 1976), the third screen version of A STAR IS BORN has not aged well in the opinion of many. It's not without some irony that Streisand's most commercially successful film would also remain her most controversial. For every ten fans who state that STAR is Streisand's best film, there are always ten more who claim it is the weakest film in her filmography. Actually, though both sides have plenty merit to support their claims, it should still be noted that A STAR IS BORN remains a entertaining - if imperfect - showbiz drama. The film is solidly enjoyable, even absorbing at times, but there are several obstacles that prevent it from really hitting it's intended bull's-eye. Changing the setting from the old Hollywood studio system to the competitive world of the music industry was actually a great idea, although I wished the screenplay would have forged a more realistic contrast between the characters' romance and their careers. For example, the film is very successful at this in the first hour and last half-hour (i.e., clashing personal and professional difficulties during recording sessions, never-ending phone calls interrupting Kristofferson's songwriting attempts), however, the midsection of film seems to completely forget about their careers while they're out building their ranch house. This is particularly odd considering that Streisand's "star-making" concert appearance immediately proceeds this, and seems to go completely forgotten about throughout this section of the film. The performances are mostly on target, even though the supporting characters aren't fleshed out enough. If you're looking for an actress/singer who can walk the fine line between tough and vulnerable without making herself seem like a script contrivance, Streisand is definitely the girl you want. She's one of the few film stars who can make even the most banal dialogue seem fresh and natural, and, as usual, she manages to make a strong emotional connection with the viewer - even though she's actually playing somewhat of an unlikable, ungrateful character. Kris Kristofferson may not get much respect now for his laid-back characterization, however, he's always interesting watch, and actually received rave reviews at the time from "Newsweek," "Time," and even the "NY Times'" usually vicious Pauline Kael. Gary Busey and Oliver Clark also give believable performances, but both have a fairly minimal amount of screentime. Which that brings me to the film's biggest problem: For a film that is nearly two-and-a-half hours long, it really doesn't feel like much happens. Frank Pierson's acceptable, but rather flat direction may be mostly responsible for this, but perhaps some tighter editing would have also improved things. As is, the film has a good amount of memorably effective scenes, but never really gels into a consistent whole. The same goes for the film's slate of original songs, there're all over the map. The Streisand-composed "Evergreen" (with lyrics from Paul Williams) is unarguably one of the most gorgeous songs in contemporary pop, brought to even-further life by an absolutely incomparable vocal performance from Streisand. The rest of the songs (mostly composed by Williams and Rupert Holmes) are much more hit-or-miss. Streisand's vibrant performances bring "Woman In The Moon" and "With One More Look At You" to life, but not much can help Kristofferson's tuneless solos. With all of that said, however, the film is still a lot of fun, especially as a timecapsle. All the fashions, decor, and hair styles are more "seventies" then the seventies ever were - if that makes sense. On a less frivolous note, the chemistry between the leads always feels genuine, and Streisand has two emotional scenes near the finale that are both surprisingly affective. Also, the film is slickly and professionally produced and mounted, which means that, if nothing else, it's always good eye-candy while it's playing. In conclusion, A STAR IS BORN is one of those films that really isn't as bad nor as good as most people claim it is. I remember my mom watching this movie when I was a child. She would watch it every chance that she got to. She was a big Barbra Striesand fan anyway & has made me one too. I love this movie still to this day & it will always continue to be an all-time favorite. Every time that I see it - it always bring back such nice memories from being a child. I can't wait for it come out on DVD!!!! What a Way for Sammy To Wind Down and Hines To Heat Up.. This has to be one of the first movies I ever watched on Cable TV. It was in the early 90s' when I saw this premier on a local TV channel and its' been a definate hit with me through all these years. Along side still powerhouse actor Gregory Hines (Who most recently has been a regular character on Nickelodeon's animated children's series 'Little Bill'), acting/performing greats like Savion Glover and the late Sammy Davis Jr. make this a movie to watch once just for the incredible cast. Hines is Max Washington, the son of a legendary NY tap dancer who, in the movie's storyline, redefined and revolutionized the art. Max foiled his own chance at being a famous dancer when he becomes entangled in crime and retail-burglary. The movie begins with his release from prison. He rejoins old friends (Well, not OLD..just smarter) Sammy Davis others in his NY city neighborhood as they await his return. The story centers around Max's obvious and unmatched talent for tap dancing, and the hard-to-resist need he feels to conform to his old illegal ways over doing something good with his gift. Im an 80s' freak in all ways so I could'nt be objective about the movie, but on top of the great soundtrack and uplifting feel of the story I think this movie would be enjoyable for a lot more people than most would give it credit for. Gregory Hines has a true and untarnished talent that he lends perfectly to the film and Suzanne Douglas as Max's former (and soon to be again) love interest, gives a fantastic performance as Uncle Moe's (Davis Jr.) daughter. 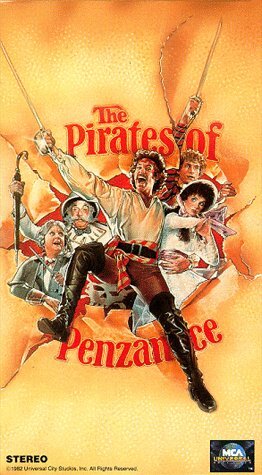 I wish they sold this on DVD but I guess it does'nt make all that much of a difference...its' a very wonderfully done Musical/Drama that stands alone for it's originality and all-star cast. Forget the plot.... See if for the dancing! See this movie for the dancing only! The dancing. It's difficult to imagine Gregory Hines as a criminal, ex-prisoner, so that portrayal doesn't come off well. He's not that, he's Gregory Hines the tap dancer. The plot sandwiches typical scenes perfunctorily - the release of the prisoner into society, looking for a job, love interest, crime, etc. There really isn't a storyline, just a remanufacture of stale overused scenes. The cohesive element that makes a story work is missing, characters don't build, and it's predictable. This movie was great.... I ordered it just so I could sit and watch it with my kids. A wonderful love story, and lots of drama and dance. You see the real beauty of tap dance, performed by no other than Gregory Hines and Sammy Davis Jr, two of the world's greatest tap dancers. I'm surprised that this move is not already on DVD. Sammy Davis and Gregory Hines were legends in their own right, and more of tap should be introduced to the African American Culture. Angela was astounding in this movie as well! What a loss to the world that this talented dancer, singer and actor Gregory Hines has passed away. Tap is a wonderful, vibrant and exciting fim, especially if you are a music and tap dance fan. Watching it made me wish that I could tap dance. While taking place in modern times, the movie transports the watcher back to a wonderful era in history when the greatest entertainers sang and tapped and Hollywood made the great Musicals. This film is not only suitable for all ages, but is loved by all ages. My own son (at the tender age of 4) tapped his way out of the movie theater after seeing this movie, and is now in New York waiting for his big break into the business. 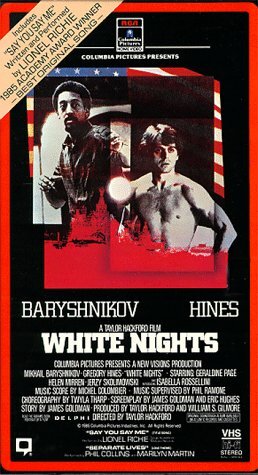 In this film, Hines introduced the world to another young great Savion Glover. The film is an attempt to show the world that Tap, Soft Shoe and other forms of dance are not dead. They are alive and thriving all over the place. We just need to look. It's strange and a bit sad to watch this movie now. Earlier this week the world heard that dancer/singer/actor Gregory Hines had passed on at the age of 57. In his obituary there was a comment that, while multi- talented, Hines always considered himself first and foremost, a dancer. This movie from the late 80s shows that to be true in all it's wonderful glory. The movie opens on a man in a cell. The darkness surrounds him and he looks pained. Slowly he begins to listen to the noise around him. Before you know it the man in on his feet and dancing to the rhythms and sounds of the life in prison. The dance is one of pain but also as it goes forth brings out relaxation as anger is spent but most importantly the man begins to feel joy. Jump forward to the man, Max Washington (Gregory Hines) being released on paroll. He has just spent a few years in Sing Sing. Originally he was sentenced for Grand Theft but time was added on for Assault & Battery of a prison guard. Max returns to his old neighborhood and takes a hotel room across from a run down building which houses the "Sunny Side of the Street" tap dance studio. As time goes on we learn that was his father's studio but first you see the various classes taught on the first two levels by an old love interest, Amy (Suzzane Douglas) and her son Lewis (Savion Glover). The true joy of the building is the third floor where the old "Hoofer's" reside. Here we find a virtual who's who of the tap dance world with many of the old masters portraying themselves and of course Sammy Davis, Jr. playing Little Mo. Max is not originally totally welcomed back by everyone except for Lewis who looks up to Max as a father, which strongly portrays some of the real life feelings that occurred between Hines and Glover, and Little Mo who has some big ideas of how to get the rock and roll world interested in the tap world. Unfortunately for Mo, Max has a chip on his shoulder regarding the life his father led and the lack of finances that he grew up with. It seems that Max has another family, one in which Max was a first rate second-story man...until the night he got caught and ended in jail. The movie is one of conflict between the worlds of the alleged easy and plentiful money and the hard work, no glory, no money world of music. As much as Max hates it this is the world that is within him and continues to draw him back time and time again. Hines was a supremely talented man. He could act, he could sing, and man he could dance like no other. He expressed himself in so many ways that it almost didn't seem fair to the rest of us. Here his character of Max is full of rage and anger. He bears a lifetime of resentment at what he perceived his father's life to have been worth and he knows what he has to do to make it better. The anger is almost palpable as it floats off his body. The look in his eyes and the set of his jaws tells people that he isn't going to take any more. That same rage appears at first in his dance. He doesn't just lightly dance on the floor a la Fred Astaire. He pounds the floor and lets it feel his frustration. He attacks it with percussive beats and syncopated rhythms that make the listeners instantly step back...but then the joy appears. First it come in the way he dives across the floor and moves free for all the world and then it reaches Hines eye's and you know at that moment that all will be well for this man. The dance sequences alone in this movie are worth sitting through. Hines has most of them starting with the dance inside the jail cell but there are also moments such as the instruction at the construction site as well as the end sequence when he is working with the rock band that are almost hard to sit through. For long time fans of the genre, the "Challenge" segment is a treat as all the old greats get out and show just why they made the business what it was. Also, there is a brief flash of the style from Savion Glover's character at one moment that shows why he was a star at such a young age and gives hints as to his future success with Bring in the Noise, Bring in the Funk! 50-minute HBO special on the group called "Stomp." This feature is very enjoyable for fans and people who have a taste for unique forms of music. The show mixes choreographed sequences of various urban locations with scenes of the group's performance on stage before a live audience. Not only are the group's various pieces of music enjoyable; watching them perform with the wide variety of "make-shift" instruments is fascinating. My favorite sequences are a portion of the group performing with basketballs in an alleyway, using trash-bins, security doors and the street itself to produce a rhythmic beat, and another set in a large kitchen using basic utensils. The group's members are energetic and incorporate humor in their performances. This may not be for everyone's tastes, but it is certainly innovative and unique. "Hats-off" to the Producer and the Director who put this feature together. HBO 50-minute special on the group "Stomp" featuring numerous unique performances at different urban locations that are inter-mixed with the group's stage show before a live audience. Very enjoyable for people interested in seeing a group of talented young performers, or musicians, make music with percussion through common everyday items. Using poles, hammers, trashcans, plastic containers, and anything else that can produce a beat or a tone, the group provides some astounding sounds that are only matched by their fascinating techniques. Most remarkable is a portion of the group performing with basketballs in an alleyway, using trash-bins, security doors, and the street itself to produce a rhythmic beat. There's another sequence where they perform in the large kitchen of a restaurant, achieving an amazing range of sounds. The members of the group are entertaining to watch and they add a lot of humor to their performances. The length of the feature is about right and it does not drown viewers with repetitious sounds, a very well done feature on an innovative and unique musical group. What astounds me about these dance/percussion numbers is their intricacy, which must have required relentless rehearsing, and yet there is almost an improvisational, immediate quality about them; some of them are performed on a stage, some on location in New York City, and they seamlessly segue from one to another. I especially like the transition from the alley ball game into the kitchen with the marvelous cigar-chomping chef. This innovative show was created in the early 90s in the U.K. by Luke Cresswell and Steve McNicholas (who met in 1981 as members of a street band called "Pookiesnackenburger") and they share directorial credits for this HBO film; the show in its stage version has received numerous awards with its many productions around the globe. Some of these performers have star quality, and it's a shame names are not put to the faces, but with so many different casts world-wide, even the ones in this film remain only as part of a list in alphabetical order. The cinematography is also excellent, by Christophe Lanzenberg. One would think that a wordless show with only percussion for music would become monotonous, but it captures and holds our attention because of its imaginitive skill, its humor, and the talent and energy of its performers. 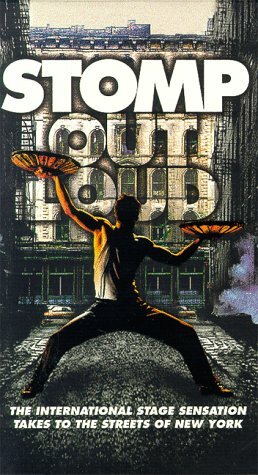 Dance fans will love "Stomp Out Loud". Total running time is 50 minutes, and that includes a 5 minute sketch on the who, how, and where of the film. This is something everyone - regardless of having any musical background or not - will definitely enjoy!! Just sit back and watch in amazement as to HOW and WHAT this group uses in creating an on-going rhythm. 1971's "Willy Wonka & the Chocolate Factory" is a colorful cult classic that includes both a witty score and a morality tale. Based on the children's novel by Roald Dahl, the story concerns Charlie Bucket (Peter Ostrum), a poor yet virtuous paperboy who dreams of a better life. With no father, no money, and four bedridden grandparents to support, Charlie's future seems bleak. However, that changes when a contest is started by the town's mysterious candymaker, Willy Wonka (Gene Wilder): 5 Golden Tickets are hidden among the billions of Wonka bars sold all over the world. The lucky buyers who find the tickets will get a lifetime supply of chocolate AND an exclusive tour through the factory. The first half of the movie shows the worldwide hysteria that results from the frantic search for the Tickets. Eventually, four winners are revealed one by one: Veruca Salt (Julie Dawn Cole) is Great Britain's ultimate spoiled brat. Augustus Gloop (Michael Bollner) is a chubby German who considers eating his most favorite hobby. Violet Beauregarde (Denise Nickerson) bears the rude, disgusting habit of constantly chewing gum. Mike Teevee (Paris Themmen) is a cowboy couch potato who bears a distorted view on reality. When Charlie himself discovers the final ticket, he and his Grandpa Joe (Jack Albertson) both enter the factory to savor the marvelous surprises awaiting them. However, temptation comes into play: Wonka's sinister rival Arthur Slugworth (Gunter Meisner) has offered each of the children $10,000 in exchange for an Everlasting Gobstopper, a brand new product Mr. Wonka was working on. 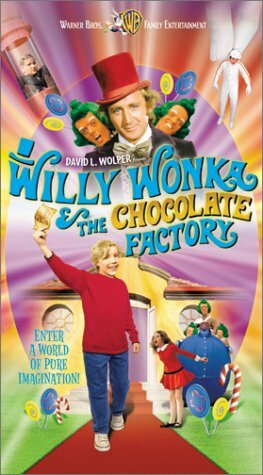 In the latter half of the film, viewers will meet Gene Wilder's Willy Wonka, whose elusive persona and literary quotes make him strangely appealing. Is this man lying or is he telling the truth? In addition, audiences (old and young alike) will catch the delightful sights of orange-faced Oompa-Loompas, a nightmarish Boat Ride, Fizzy Lifting drinks that cause drinkers to float away, and quadruple-size Geese that lay octruple-size eggs! Throughout the journey, the group's four nasty children (and their equally despicable parents), are eliminated one by one in gruesome yet amusing ways: The gluttonous Augustus falls into a chocolate river and is sucked into a boiler. Violet samples a 3-course-dinner gum (despite Wonka's warnings) and inflates into a gigantic blueberry. When Veruca Salt attempts to steal a Golden Goose, she falls into a garbage chute, one that happens to lead down to the furnace! After trying to get photographed onto Wonka's giant T.V. camera, Mike Teevee is shrunk down to the size of a pen; the only way to restore his size is by stretching him out on a taffy-pulling machine! With imaginative sets, clever confections, and pleasant tunes like "Candyman," "Pure Imagination," and "Cheer Up, Charlie," this movie was made to entertain adults first and children afterwards. It's a guilty pleasure to college graduates, much like H.R. Puffenstuff. I chose to give this film four stars because I felt that a couple of mistakes were made. For one thing, the nature of Wonka's factory is a little too candy-coated; Roald Dahl himself wanted to have the story as a Grimm fairytale, not a wholesome musical. Also, I personally think that the scene involving the Wonkamobile should have been cut out. The device, which is fueled by gingerale, gingerpop, gingerbeer, and double-bubble burp-a-cola (among other carbonated fluids), really doesn't have anything to do with the story. As a result, it's a little too distracting. Now that Tim Burton plans to reimagine the tale, I am gleefully anticipating what alterations he plans to make. 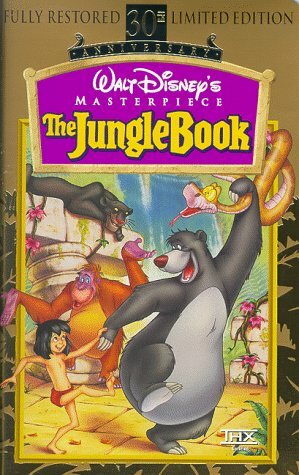 (Spoiler included) I watched this movie on TV for rhe first time when I was 6 years old and I haven't outgrown it since! It is a wonderful story about the power of imagination and how good things eventually come to those who do the right things. The movie is based on the Roald Dahl book "Charlie and the Chocolate Factory." Willy Wonka is an eccentric candy maker who starts a contest offering a factory tour to five lucky winners who find a golden ticket in their Wonka bars. One of them is Charlie Bucket, an impoverished, but good natured, child who hopes for a better future for himself, his mother and his four grandparents. The other four winners are nasty obnoxious and bratty children. Augustus Gloop is an overeating glutton, Violet Beauregard is a gum chewing fanatic with no manners (digging up her nose while talking about how disgusting spitting is), Veruca Salt is a spoiled brat who wants everything she sees and whines until she gets it and Mike Teavee is a television addict with a smart mouth. One by one, they are eventually done in by their bad habits. Augustus falls into the chocolate river against Wonka's protests and is sucked into a pipe, Violet chews a piece of Wonka's "meal gum," once again against his objections, and turns purple and blows up into a giant blueberry, Veruca goes on a tantrum when Wonka tells her she can't have one of his giant geese and she falls down a garbage chute and Mike wants to be on television so badly, he willingly gets zapped into the size of an insect by Wonka's TV camera. Charlie, by being the respectable child that he is and by not compromising his integrity, not only completes the tour, he wins a prize beyond his wildest dreams. The parents make it obvious why their children are so impish. When the children get into trouble at the factory, the parents blame Wonka instead of the kids' own bratty behavior. From the moment they step into the factory, they're complaining and finding fault with everything Wonka does and they take things way too seriously (much like the critics of this film)! I bet if the Oompa Loompas, with their wisdom, raised these little demons, they'd be much better. Don't miss this film. It is not only a fun to watch diversion from reality, the messages are very timely and it makes you think about the good that still exists in this world. The critics and nitpickers may not get it but anyone who watches with an open mind and doesn't take it too seriouly will. OK, I know you are saying to yourself, that movie is ancient ~ my kid wouldn't enjoy it. Well, trust me your kid will enjoy it. It is a great movie! For all who may have missed it over the years (is there anyone out there? ), the story is about a giant chocolate factory run by a never seen owner (Wilder). Over the years of the factory's operation he has become quite the legend. He decides to open the factory to a few lucky winners of a contest ~ all but one of the winning kids are truly rotten. And as all good stories go, the bad kids get their just "desserts" (sorry, couldn't resist the pun) leaving the good kid to win. A lot of good lessons taught about sharing, greed, gluttony and theft. Pop some popcorn and enjoy it with your kid; you'll be glad you did. "Charlie and the Chocolate Factory" was my favorite book as a child, this movie remains a favorite of mine even to this day. This film was made back in 1971 and is very simple in its style. The special effects are see-through and campy but the story line is a facinating metaphor for life that is forever timeless in its message. Willy Wonka is the creative genius who becomes a recluse in his chocolate factory because of society and its greed and malice. But he never loses his belief that someone in the world exists who can still believe in imagination and dreams. He finds this person in Charlie, a poor child who lives with his mother and four grandparents in a dirty basement home. Charlie has every reason to become dispirited and negative yet he remains a shining light of great positivity regardless of his circumstances. I suspect his attitude comes from the fact that his Grandfather Joe always supports his dreams, the boy never has to hear the word "can't"! The chocolate factory holds a contest and several children, including Charlie, get invited behind the doors with Willy Wonka. While on tour they are tested with fame, fortune, greed and honesty until one by one they succumb to the failure of a human heart. All except Charlie, who keeps a smile on his face and wonder in his eyes while being faced with the simple adversities that cause the other children to fail. Sadly I feel the parents are to blame creating children who thrive on material wealth, constant TV watching, gorging on food, and looking for constant attention. The parents of the children who fail refuse to believe in the dream of Willy Wonka surrounding the atomsphere with doubt and negative beliefs. How could anyone survive under such circumstances? The Chocolate Factory is filled with wonder, color and silly songs. Regardless of your age it will satisfy your sweet tooth and fill even a hardened heart. It certainly brings to life how parent's affect their children with their own actions and attitudes. Telling a child they "can't" accomplish all that they imagine only assists in stopping the world from greatness. Don't be afraid to dream! The film is based on a much-loved children's book, 'Charlie and the Chocolate Factory', by Roald Dahl. Dahl wasn't always happy with the changes made between his book and the film, and wasn't always consulted on them. Today probably more people are familiar with the film sequence of events than the book. Charlie is a down-on-his-luck boy who is nonetheless optimistic and happy. He and his mother work to tend for their bed-ridden family members, all living together in a one-room home. One day there is an annoucement that Wonka is going to open his factory to visitors, to be chosen more or less at random through finding the Golden Tickets, contained in Wonka bars (a brilliant marketing device back then). Scenes of shoppers' frenzy are shown all around with world, including a Wonka delivery van shown arriving at the White House. The five golden tickets are found all around the world - the first one in Dusselheim, Germany, by the fat boy, Augustus Gloop (played by Michael Boliner, who is now a tax accountant in Munich, and is still rather large). The second ticket was found in the UK, by spoiled brat, Veruca Salt (Julie Dawn Cole, the only Wonka child still acting), whose father, Roy Kinnear, is a well-known actor in British cinema. The third ticket was found in the USA, by gum-chewing Violet Beauregarde (Denise Nickerson, now an accountant at a nuclear plant in Colorado), whose used-car-salesman father was played by Leonard Stone (who was selected over Jim Bakus). The fourth ticket was also won in the USA, by Mike Teevee (Paris Themmen, considered a real brat by most of the cast and crew); his frantic mother was played by Dodo Denny (later Nora Denny), who was one of the few minor characters in the film to consistently act after this film. The final ticket at first is reported to be won by some shady businessman from Paraguay, but in the end, that is proven to be a forgery. Of course, Charlie buys a Wonka Bar expecting nothing, and gets the ticket. An ominous figure, Slugworth (the arch-enemy of Wonka - who knew chocolate makers also made arch-enemies? ), appears to each of the winners, whispering in their ears. Charlie is also confronted, and promised a reward should he bring Slugworth an example of Wonka's latest creation, the Everlasting Gobstopper. One wonders why (a) any candy maker would make a candy that never wears out (thus defeating re-sales), and (b) why Slugworth can't just buy one himself when they are released, analyse it and ruin his own factory the same way? But I digress... Gunter Meisner, a very prolific German actor, played the villain, who wasn't in the book (nor was the 'gobstopper plot'). The grand day of the event, the winners enter the factory with great fanfare, meeting Wonka (Gene Wilder) for the first time, and get the first taste of his bizarre sense of theatre. (It is reported not only Wilder's idea for the limping/somersault introduction to the crowd, but also a condition of his accepting the role.) From that point on, what was truth? It is ironic that Wonka's entrance doesn't occur until the film is half over. What we remember of the film comes after this, but over half the film is actually set-up. 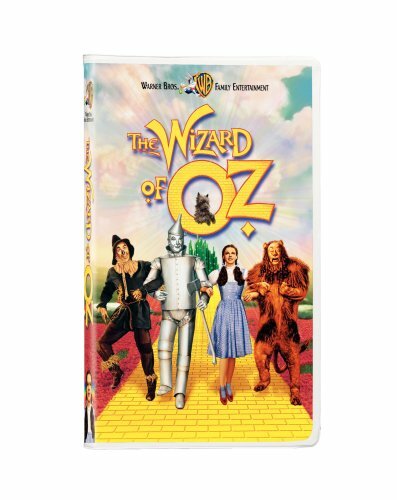 This is rather like the Wizard of Oz, where most of the film is done before we see 'the major character', although admittedly Wonka is far more prominent than Oz's balloonist. Wonka, the man of mystery, only ever became even more of a mystery as the tour progressed. He is constantly switching his words ('we have so much time and so little to do'), and there are surprises at every turn. Wonka borrows a lot of his key phrases (Ogden Nash, Shakespeare, Oscar Wilde) and there are a lot of fantasy-inspired elements (Alice in Wonderland, Lord of the Rings). At each major scene, something ghastly seems to happen, but in epic-fantasy form, it doesn't seem to matter to the majority, who proceed onward with their quest. In the chocolate room, Augustus Gloop meets his untimely exit from the factory by falling in the chocolate river. Violet turns into a blueberry by chewing experimental gum, and has to be squeezed (squoozed?). Veruca, in the room with the geese who lay the golden eggs, turns out to be a bad egg herself, but has a sporting chance of going down a chute with an inactive furnace. Mike Teevee shrinks in the Wonka version of the Star Trek transporter beam, leaving in the end only Charlie, who is denied his prize of a lifetime of chocolate for a minor infraction. It would seem that Wonka had a sinister side in many ways - the boat that carries the prize winners only seated eight, implying that Wonka knew someone would be missing. The Wonkamobile only had seats for four guests. Of course, the children apparently all had sinister sides, too, including Charlie, until the end. None of them let Wonka know of their Slugworth contact. In the end, we never know what becomes of the fallen questers - we are led to believe that in this candy factory they got their just desserts. The Oompa-Loompas put the moral to each downfall in song, with a 1970s karaoke-type presentation of the lyrics as they sing. In the end, of course, goodness and justice win out, as the factory is given to Charlie after his act of unwarranted kindness toward Wonka. Director Stuart always saw this film as a 'realistic' fantasy film. Those things that are not over the top are very ordinary. The people are not superheroes, and the situations, while fantastic, are not beyond the credible. Stuart also did his best for 'real' reaction - the kids had never seen Gene Wilder before his appearance at the door, the chocolate room in the factory, or the Oompa-Loompas prior to the first scene, either, so their reactions are more natural. How can you top something like this? This movie musical is as close to perfection as it gets. Perfectly cast, marvellously directed and filmed, beautiful music magnificiently arranged, The Music Man sets the standard for all movie musicals, even though it was the last big musical filmed in that era. Meredith Willson's brilliant musical wit and talent reached their pinnacle in this musical. 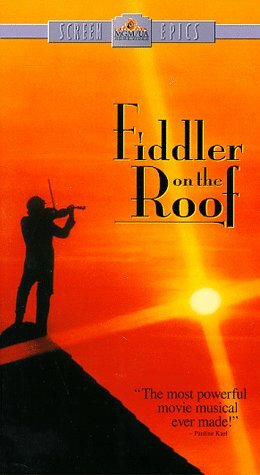 Considered by many to be the best musical ever written, this filmed version is worthy of the musical itself and leaves nothing to be desired. This DVD release is equally marvellous. A fitting tribute to one of Hollywood's finest efforts of all times. The Music Man is one of the movie industry's brightest stars, and this DVD edition will be a prized possession in any movie collection. Even if you "don't know one note from another," you'll love this spirited romp through 1912 small-town Iowa, and through some of the best music ever written for the stage or screen. The transfer to DVD is excellent. Vivid colors, sharp images, beautifully remastered soundtrack, the whole package is excellent. The extras on the disc are also great, including a 30-minute special on the making of the musical and the movie, narrated by Shirley Jones and with comments by Buddy Hackett, Onna White (the choreographer), and Susan Luckey (Zaneeta Shinn). This DVD is one of my most prized possessions. My only complaint is I wish Warner Brothers would package it in a better-grade all-plastic case rather than the cardboard snap case. It won't hold up over time as well, and this baby will be in my collection for a very long time! 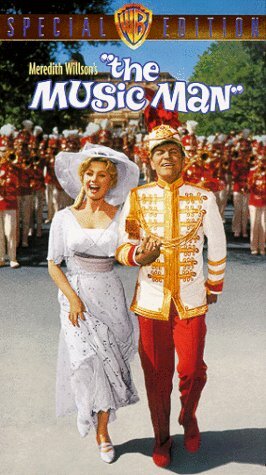 Before watching "The Music Man" on DVD I knew next to nothing about the show's writer/director Meredith Willson. Thanks to the Shirley Jones-hosted documentary included on disc, I now know he hailed from small-town Iowa. I appreciate all the more those exquisite little details in the film that turn River City from stock caricature set into living, breathing character. Any movie musical is bound to split into two separate films: the exquisite musical numbers, with their witty rhymes, elaborately choreographed dance sequences, and impact on the plot; and then the perfunctory, stilted dialogue bits that bridge those numbers (if you want to see this theory in action, rent "West Side Story"). Thanks to Willson, "The Music Man", however, is perfect in that its linking "book" portions are just as successful as the musical numbers. And we're talking some pretty heavy musical numbers too. Nearly every song in the film is worth memorizing -- if you can manage to catch all the words! I thought I had them commited to memory years ago, but then I watched the DVD release with the English subtitles on, and realized I'd been missing entire lines -- good lines, too. The DVD presentation is sound. The audio quality suffers, most notably during the dialogue-only portions. As I said, the presenttion is "sound". The extras are minimal, as to be expected from the perfunctory Warner Brothers back catalogue, but the 30-minute documentary bears viewing and sheds new light on the film. I'm not sure that a separate commentary track would work here, but I don't have to worry because, as usual, WB doesn't provide one. 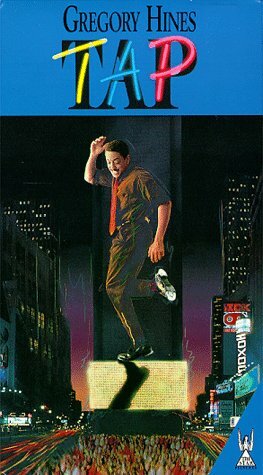 I don't remember how many times I have watched this movie, including the remake with Matthew Broderick. Robert Preston is the one and only Music Man, hands down. No one will remember any other movies he did, except may be for Victor Victoria, for which he actually won an Oscar. Joyous music, and wonderfully innocent story. Enough said. A Standout but definately not a "masterpiece"
Before I complain I liked the Music Man. It is one of the most light hearted and charming movies I have ever seen and it does have good music. In the days of West Side Story, My Fair Lady, Mary Poppins, and The Sound of Music, somewhere in their is The Music Man. It failed to be better than all the films I have mentioned above. It was more slapstick and mediocre, and somewhat reminded me of some of the musicals MGM did in the 30s and 40s. All the performances were average but not something to hand out an Oscar for. Robert Preston, Ronnie Howard, and Shirley Jones did well. All in all it is enjoyable and very likeable, but it just did live up to the other film musicals of the 1960s. I do reccomend this film.